Tom Brokaw dubbed Americans who lived through the Depression and served in World War II “The Greatest Generation.” As a member of this group, Charley Stanceu (pronounced STAN- chew) found himself witnessing some of the iconic events of that period. A rookie pitcher for the New York Yankees in 1941, he was in the dugout for all of Joe DiMaggio and Ted Williams’ great season. The following January, Stanceu was inducted into the Army. He arrived in Europe in December of 1944 and was immediately pressed into service in the Battle of the Bulge. In addition, as a member of the Zanesville (Ohio) Greys he saw the Pittsburgh Crawfords with Satchel Paige, Josh Gibson, Judy Johnson, and Oscar Charleston. Charles Stanceu’s parents were Lucretia and Charles according to census records. However in City Directories for Canton, Ohio, the father is listed as Vasile and not Charles. Stanceu’s parents were both of Romanian descent and were born in Austria, Charles/Vasile in 1889 and Lucretia in 1894. They wed and moved to America in 1913, settling in Canton, where the father became a saloonkeeper. Charley was born on January 9, 1916. The first of four children, he was joined by sisters, Anicka (Anna), Mary, and Virginia. Vasile left the saloon and found employment with Republic Steel when Charley was in school. Later the elder Stanceu would leave the factory and work for a liquor distributor. Charley attended school in Canton, going to McKinley High School, but he did not graduate with his class in 1934.McKinley did not have a baseball team, so 17-year-old Charley used his lanky frame ( listed from 6’2” to 6’3”) to his advantage as a pitcher helping Cities Service Oil to the Class B city title in 1933 . He also passed up school basketball and played in the city league, frequently being the high scorer for the Sima Bakers team in Class C. Canton had multiple levels of competition in the city leagues, with A being the most advanced. A youngster like Stanceu seldom debuted in the upper classification. Charley caught the eye of Cleveland scout Harry Layne, who was manager of the Zanesville Greys, with his performance in the City League that included a no-hitter. Charley was signed to play in 1934 and found himself assigned to Monessen in the Class D Pennsylvania State Association. He was joined on the team by fellow Stark County resident Tommy Henrich. Stanceu’s first pro appearance was on May 18 when he relieved against Jeannette. He worked four and two-thirds innings, giving up three runs and striking out seven. In early June he was called up to Zanesville. Before he ever appeared in a game for the Greys, he was loaned to the Newark Sterling Oil semi-pro team and pitched them to an 11-7 win over the Mansfield Westinghouse squad. In his only performance for the Greys he hurled 32/3 innings of scoreless relief on June 8 before returning to Monessen. Stanceu’s best performance for Monessen came in a doubleheader on the Fourth of July when he went the distance to beat Charleroi 2-1. Otherwise, Charley produced lackluster numbers in his first year, winning only three of twelve decisions and posting an ERA of 5.24. Butler, Pennsylvania, was the next stop for Stanceu when he started the ’35 campaign in the PASA again. He made three appearances totaling 22 innings for Butler before Zanesville summoned him. This time Charley stuck with the Greys, appearing in 24 games and tossing 135 innings and posting a 5-6 record. He began 1936 in the rotation for Zanesville, but was mercifully spared an appearance in a May 4 doubleheader against the Pittsburgh Crawfords. The Crawfords took game one with a 21-hit barrage that included homers by Charleston, Gibson, and Johnson. In the nightcap, Satchel Paige tossed a no-hitter. Charley won his first start 10-5 over Johnstown and struck out 10. On May 22 he beat Huntington 13-6 on only six hits. At bat he hit a 2-run homer over the left field fence in the fifth and had three RBIs for the game. At the time he led the Greys with a .444 average. Charley’s season began to unravel on Memorial Day when he started game one and was forced to relieve in game 2. He was hit hard and also issued 12 walks on the day. Never able to regain his form, he was sent to Waterloo in the Western League. Here Charley was made into a workhorse, tossing sixteen complete games and posting a 2.82 ERA but only earning 5 victories while losing 14 for a last-place team. In the off-season Charley was listed on the 1937 roster for Buffalo in the International League. He kept in shape that winter and others by playing basketball and bowling back in Canton. 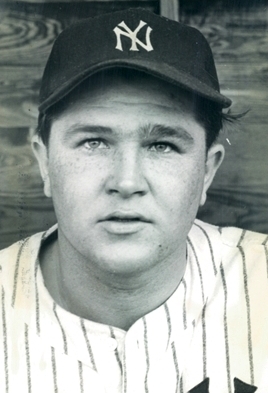 In 1937, however, Stanceu was assigned to Wilkes-Barre in the New York-Penn League. Wilkes-Barre fielded a strong team with a pitching staff that featured three league all-stars. They finished in second place to Elmira, earning a berth in the playoffs. Stanceu was not an all-star, but he did record a top ten ERA of 2.96 to go with his 7-11 slate. Wilkes-Barre beat Binghamton in the first round of the playoffs, but dropped the best-of-seven finals to Elmira in five games . Charley’s performance led to an invitation to spring training with Cleveland in 1938. The Cleveland Plain Dealer reported in late March that it appeared he would be farmed out to New Orleans. The paperwork for this transfer came through on March 31, but an hour later Stanceu and fellow Tribe farmhand Myron “Mike” McCormick were declared free agents by Commissioner Kenesaw Mountain Landis. The free agency came as a result of Landis’ investigation of the minor leagues, and Stanceu was one of over 90 players set “free. Landis found that Cleveland had conspired with the Buffalo franchise in the spring of 1937 to keep Charley off the 40-man major league roster and the 17- man minor league list that was allowed. Landis ruled that Stanceu could not resign with Buffalo, Cleveland, or any of their affiliates for three years. Charley stayed in New Orleans and awaited offers from other franchises. A year earlier a similar case had arisen with Tommy Henrich, and the Yankees snatched him for $20,000. Stanceu also found himself with New York, but at a price of only $2500.The Yankees assigned Charley to Kansas City, where he was the last man on the staff. He made appearances on April 23 and May 1 totaling only 31/3 innings. Charley was optioned to Binghamton in the Eastern League about the same time as the Yankees sent down Joe Vance to Kansas City. Stanceu made his first appearance in relief for Binghamton on May14, taking the loss in an extra inning game versus Trenton. He soon became a part of the starting staff and posted a 13-13 record with a 2.82 ERA. In February of 1939 the Yankees optioned Stanceu to the Newark Bears. He opened the season as a starter and took losses to Buffalo and Montreal. He was then relegated to the bullpen and made only three appearances in a four-week span. In all he worked 231/3 innings, gave up 22 hits, walked 13 and struck out 18 before being optioned to Binghamton on June 1. Charley’s second go-round with Binghamton was not as successful as 1938. His ERA ballooned to 4.53, and he won 9 of 16 decisions. Even so, he earned an invitation to spring training with the Yankees in 1940. The Sporting News reported that Manager Joe McCarthy might keep a pitching staff of twelve for the ’40 squad. It was decided that Charley was not ready yet and he was optioned to Kansas City. The Blues were the class of the American Association. They opened a big lead and cruised into the playoffs. Despite the big lead, the pitching rotation was not given a break, and Charley took his regular turn in the rotation into the final games of the season including a 12-inning stint on August 29. Charley spun a 2-hitter, only to leave with no decision when the game was stopped so that both teams could catch trains. His next start was a 5-hit shutout in the season finale. Stanceu enjoyed his finest overall campaign, contributing 15 wins against just eight losses and posting a career-best 2.69 ERA. When the playoffs got underway, Charley was listed as starter for game 2. With the help of a Phil Rizzuto homer he beat Minneapolis 6-2. His next start was in game six of the playoffs. He started a third- inning rally with a double and tossed a five-hit shutout to clinch round one. In the finals, Kansas City faced Louisville. Stanceu took the hill for game 3 and threw a three- hitter for a 2-1 win. He was brought back to pitch game six, but fell to the Colonels 3-0 in the series finale. Charley went south again in 1941 with the parent club. The Yanks had finished third in 1940 and were looking to augment their veteran squad to make a pennant push. Stanceu and fellow rookie Steve Peek were added to the pitching staff as relievers and occasional starters. Johnny Sturm and Phil Rizzuto were added to the infield. The Yankees cruised to the pennant by 17 games over the Red Sox. Charley filled his role, appearing in 22 games, including two starts when doubleheaders piled up and strained the staff. His first major league appearance was in a mop-up role on April 16. Thus he became the first major leaguer of Romanian descent. He did not make an appearance in the World Series, but he added to the list of iconic events he witnessed when Mickey Owen allowed his infamous passed ball in game four. Charley returned to Canton that winter and was inducted into the Army on January 8, 1942. He shipped out to Camp Perry Lacarne for his basic training. Later he was sent to Camp Wolters in Texas and played some ball for Company D of the 57th Battalion. He was granted leave in October of ’42 and returned to Canton, where he married Marian Kathryn Coman on October 6. The couple had three children, Anna was born in 1946 and the twin boys Timothy and James in 1951. Stanceu returned to his unit after the wedding and rose through the ranks as corporal, second lieutenant, and finally first lieutenant. According to his paperwork filed with the National League after the war, he entered the war in Europe on December 22, 1944, and was most likely assigned to the 99th Inf. Division which was part of the relief effort during the Battle of the Bulge. He would then take part in actions in Belgium and Germany, earning a Bronze Star for gallantry in action at Rhine-Thome. His unit had advanced to Kaiserslautern, Germany, when the surrender came. Charley was fortunate to be shipped stateside fairly quickly because he was in camp at Shelby, Mississippi, when the Japanese surrendered in August. In the spring of 1946 Charley was in camp with the Yankees and made the squad when they broke to travel north. He appeared in three games before being waived and picked up by the Phillies. He made 14 appearances for the Phillies, mostly as a starter. He tossed the only complete game of his major league career on June 22, 1946, beating the Cincinnati Reds 5-2. The Phillies put Stanceu on the 40-man roster and invited him to spring training in 1947. A relief stint on March 11 when he surrendered seven hits in an inning destroyed Charley’s chances of making the squad. On March 24 he was sold to the Columbus Red Birds, who remembered his 1940 season at Kansas City and hoped he had some life left in his arm. Charley arrived at the Red Birds spring training in Daytona Beach on March 28. The Columbus paper had heralded his arrival by quoting League President Frank Lane that Stanceu “will help Columbus plenty.” Charley made a couple of outings in spring training giving up 2 runs in 11 innings and then drew an assignment versus the Pirates on April 13 when he made another strong showing. This performance anchored him in the rotation and in his first appearance he tossed a complete game 3-2 win over Indianapolis. Stanceu became the workhorse of a five- man rotation, tossing 15 complete games and throwing more innings than any other Red Bird while breaking even with a 12-12 record with a solid 3.05 ERA for the second-division squad. Charley would spend 1948 and ’49 in Columbus, but a search of city directories does not show a residence. The assumption must be made that his family stayed in Canton and Charley returned there in the off-season. In 1948, going 12-12 but with a 4.24 ERA, he again led the staff in innings pitched and was regarded as the reliable old man on the staff. Oddly enough the Columbus Dispatch, obviously unaware of his heritage, repeatedly referred to him as “the Frenchman”. Stanceu was selected to be the opening day starter in 1949, over youngster Harvey Haddix. As luck would have it, the opener was cancelled on account of the weather and Charley was pushed back to the April 20 night game. Once again he found himself in a historical setting, though minor compared to his war experience, because April 20 marked the first time a game was televised in Columbus. Stanceu dropped a 4-3 decision to St. Paul. He also dropped to fourth on the staff in innings pitched. His ERA rose to 4.83, and he managed only seven wins in 20 decisions. His Columbus years covered 96 games with a 31-37 record and an ERA of 3.96 in nearly 600 innings of work; it was time to call it quits. After Charley’s baseball career ended, he found employment with the Monarch Rubber Company in Hartville, Ohio. He eventually rose to the position of Personnel Manager. Charley was instrumental in the formation of a Little league team sponsored by his company, but otherwise he kept a low profile. A “natural disaster” of sorts rattled the family’s lives on December 28, 1963. The Stanceu home was built over an abandoned mine shaft in northeast Canton and for some reason there was a cave-in or shift that damaged a number of homes. The Stanceu home received some of the worst damage. This precipitated the move of the family to North Canton, Ohio, where Charley resided until his death from a massive heart attack on April 3, 1969. He is buried in the Forest Hill Cemetery on the northern edge of Canton. Newspapers from: Canton, Cleveland, Columbus, Massillon, and Zanesville, Ohio; Monessen, Pennsulvania; The Sporting News and The New York Times. The bulk of the records of WW II Army personnel were destroyed in a fire in the 1970’s. On Stanceu’s papers with the baseball office he noted that he was with the 28th Infantry and the 99th Infantry. Since the 28th was on the front line of the attack in the Bulge and judging by Stanceu’s late arrival in Europe, it is likely his unit was the 99th.